We thought it might be a fun exercise to look through some of the many excellent Drupal Commerce themes out there and come up with a top 10 list of our favourites. During this process, we quickly found out that the top sites changed quite a bit when looking at it from the creative designer vs. Drupal developer point of view. We decided to select 5 sites each to cover both viewpoints, then make a combined list. Everyone has their own priorities and preferences when it comes to compiling a list of top sites. As a creative designer looking at recent Drupal eCommerce builds, I’m looking for a certain wow-factor in a site’s visual appearance, but also a consideration of user experience. A great website should be both beautiful and functional. As a front-end Drupal developer, I float somewhere between the creative and software sides of eCommerce websites development. 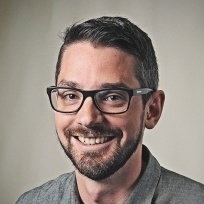 The sites I picked look good, but I’m mostly looking for interesting and unique functionality that pushes the limits of what an eCommerce site can do using Drupal Commerce. 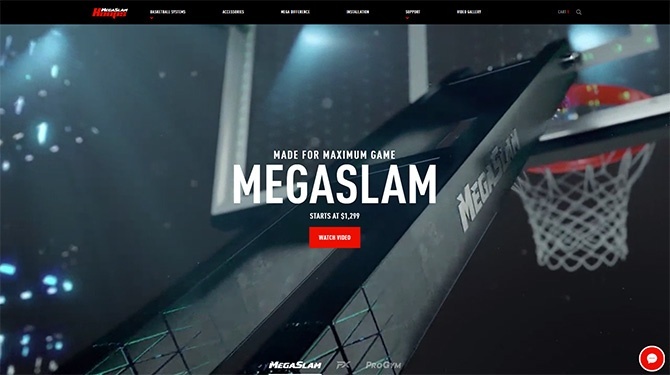 Don't let the flashy motion graphics and slick 3D renderings overshadow the fact that this site also has quite a nice foundation. Its' easy-to-use navigation, well-designed responsive functionality and nice clean page layouts make this build an easy pick for my top five. I love the use of white space that allows the content to breath and the simple color scheme really showcases the products well. I recently came across a case study of this project and found it to be pretty amazing. ZKungFu is a massive Chinese food chain with over 600 franchise locations in over 43 cities. Their revenue in 2015 reached over 750 million USD! 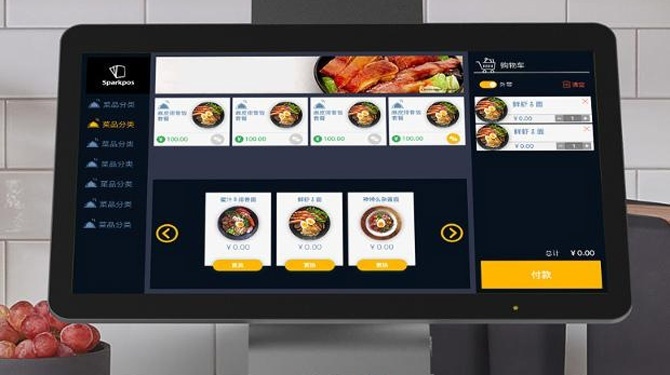 The ZKungFu website is built on Drupal and their online ordering is done through Drupal Commerce, but what makes this project truly incredible is that a custom Drupal Commerce point of sale application was created for self-serve ordering kiosks, too. Every step of the order from when it’s placed all the way through to accounting and supply chain planning is tracked. And this only scratches the surface of this impressive project. This clean, mobile-first approach offers a minimal design, bringing focus to what's important—showcasing products. In this build, great imagery, sophisticated typographic treatments and unique hover styles ensure that simplicity doesn't equal boring. LivePerson’s LiveEngage is an enterprise level chat support service that integrates with any website. 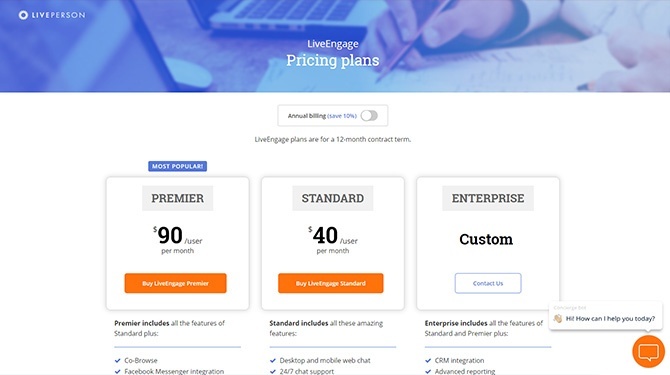 LiveEngage service is their own software and service, but how businesses sign up and pay for the service, and manage their subscription and any add-ons, is all done with Drupal Commerce. It’s fully self-serviced and handles all of LivePerson’s billing. This is a great example of how Drupal Commerce can be leveraged as a billing platform, not just your standard online store. Another clean, mobile-first concept, this design does a great job of engaging visitors with supporting content beyond just their product catalog. This is what we at Acro often refer to as ‘a marriage of content and commerce’. The site features a collection of great testimonials in their ‘Experiences’ section, as well as a strong social media presence via their Instagram feed. 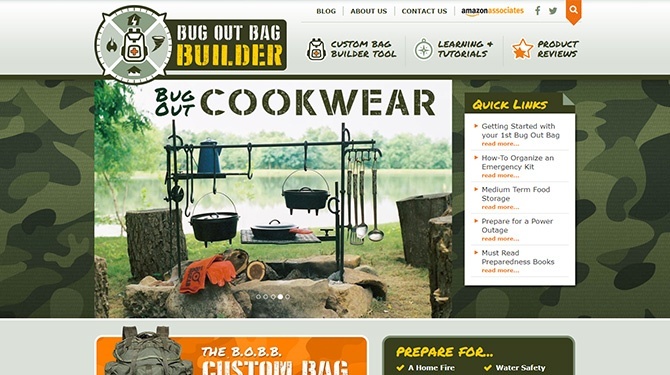 Bug Out Bag Builder (BOBB) is a fun, survival based Drupal site loaded with informational blogs, tutorials and product reviews. From camp cookware and communication devices to disaster planning, this site has you covered. After all, a bug out bag is the prepared bag you grab when you need to get out fast! This leads me to the websites coolest feature, the actual bag builder. Drupal Commerce can integrate with nearly anything, so why not Amazon? The bag builder lets you choose from a variety of pre-made bug out bags or start from scratch. Whatever you choose, you can then browse through the product categories, view product information and BOBB product reviews, then add and remove any of the products from your bag. When you’re ready to buy, click checkout to go to Amazon and complete your pre-filled order. BOBB gets a cut, you get prepared! This site simply does commerce well. 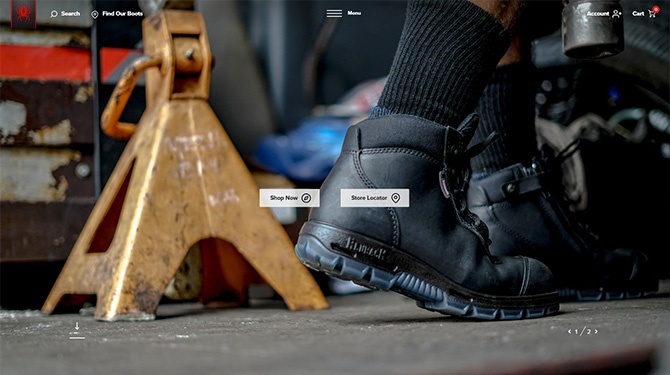 Clean, consistent product imagery and easy-to-follow navigation lead customers through the shopping experience. 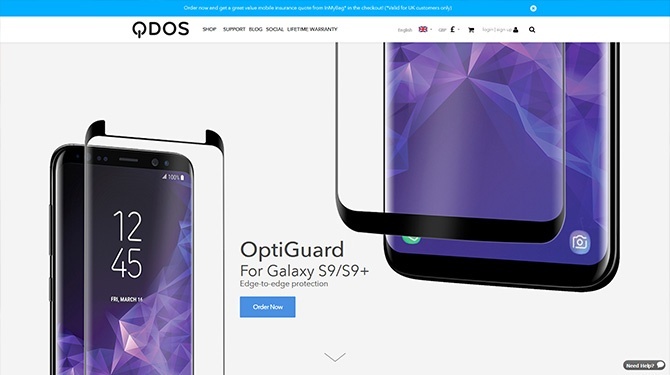 Product pages are a bit on the long side, but are aided by a sticky navigation providing anchors to the various sections of these pages, while also keeping the Add to Cart button visible throughout. 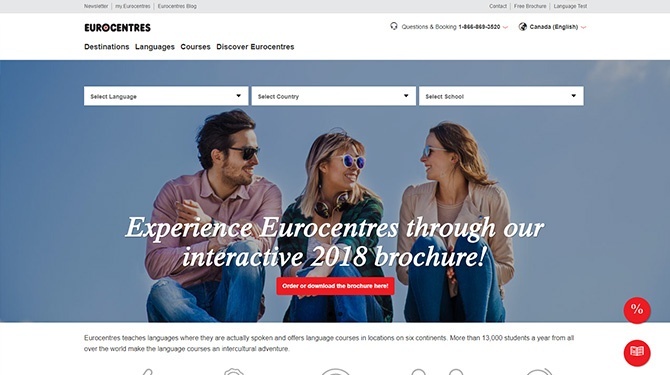 Eurocentres offers language courses all over the world, providing opportunities for students to travel while learning. Being worldwide, the site is both multi-language and multi-currency. This is a unique Drupal Commerce build in that the products you purchase are courses, not your typical shirts and hats. You first select the location where you would like to take your course, then choose your start date and how many weeks and lessons you would like to have, and finally you can even book and pay for your accommodations if you are travelling abroad while learning. LUSH is a massive cosmetics retailer with a global reach. They make their products with high quality ingredients and pride themselves on being forward-thinking and ethical. The LUSH online store if built on Drupal Commerce, and while there isn’t anything that really makes their store unique, the store as a whole is a fantastic example of how Drupal Commerce can be used to create your typical online store. 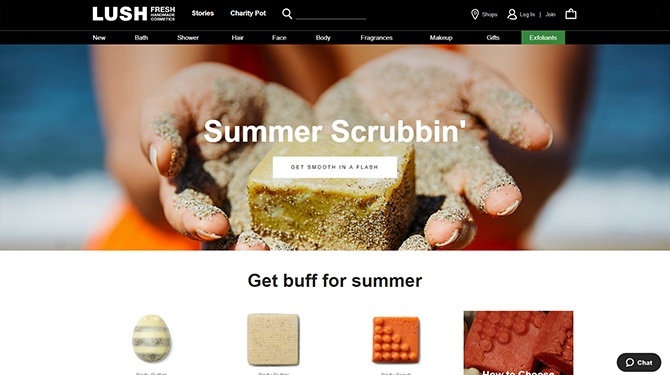 What makes this example really stand out is that not only does LUSH have a nice store, but that they also take advantage of the underlying Drupal CMS for completing the website with a lot of great stories and content, too. 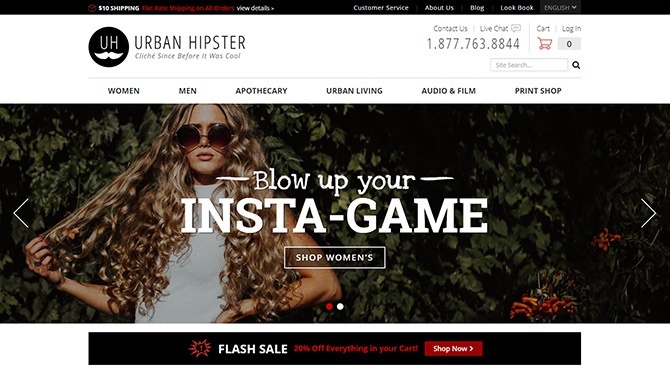 Honorable mention: The Urban Hipster Drupal Commerce demo site! An honorable mention in a way is the Urban Hipster Drupal Commerce demo site. 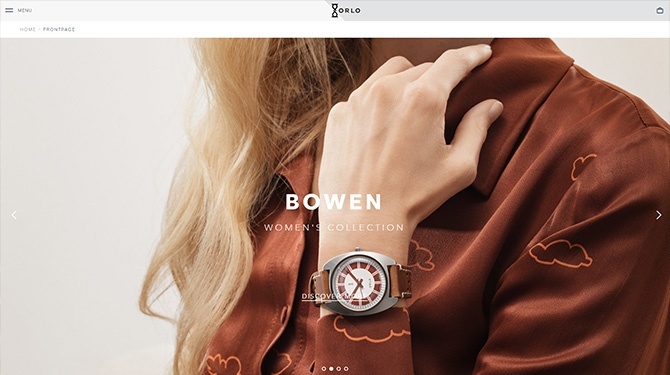 This site was built and is maintained by Acro Media to show the Drupal Commerce platform in action. It’s a fun way to get familiar with Drupal Commerce and view the many features and functionality that come nearly out-of-the-box. Go ahead and take a look! The UH Axe builder and Sir Mix-a-Bit software subscription showcase products are awesome.